As with many other styles of martial arts, Taekwondo combines practical combat techniques, self-defense, sport, exercise, meditation and philosophy, thus creating one of the most popular and beautiful martial art styles to date. Thousands of years ago, South Korean soldiers were trained in Taekwondo to defend themselves in combat against armed horsemen. Most of the South Korean soldiers were simple farmers who did not have weapons or even horses. Many of the fancier kicks were developed especially to knock incoming enemies off their horses so they could engage in hand-to-hand combat. Taekwondo is now an official Olympic sport, and the only Martial Art used in the Olympics. Anyone and everyone can benefit in many ways from being involved with martial arts. Adults that are concerned with their weight, cholesterol or overall health should be encouraged to participate in an exercise plan such as Taekwondo. 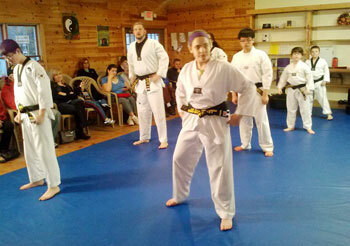 Martial arts classes also help with blood pressure, anxiety and a variety of other health issues. Whether you’re looking to get in shape and shed a few pounds, get stronger, increase balance and flexibility or are just looking for a fun activity for just you or your family, Taekwondo is great for all of the above. Kids will learn the importance of self-control, respect and discipline, skills which they can apply in every aspect of their lives. 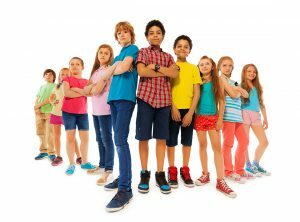 They will learn to be quiet and respectful in class, raise their hand before speaking, and to treat everyone else the way they themselves wish to be treated. Activities such as Taekwondo have helped troubled children for years by teaching them to work through mental hindrances such as ADHD, which in turn makes them better listeners and therefore better academic students. Kids of any age are instilled with important life lessons, like learning the safest way to deal with bullies, peer pressure, stranger danger and so on. Taekwondo training also helps with necessary skills in other sports such as stamina and strength. Many middle school and high school athletes take up martial arts as a secondary sport or exercise regimen to help them gain an advantage on the playing field.